About Demi's show succes, you can read here. 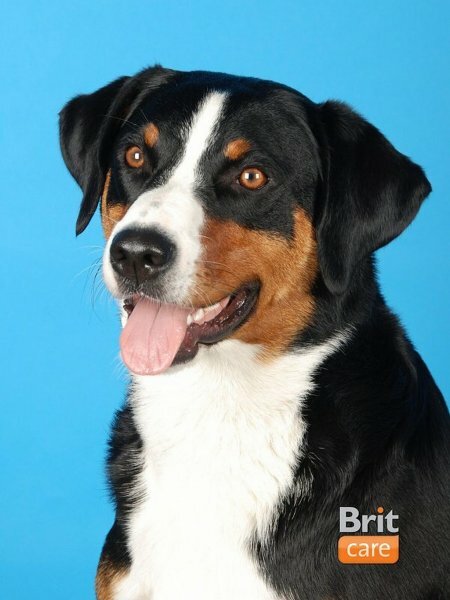 Demi is very friendly appenzeller. She is self-confident and loving dog. She is also very pretty which she has proved on almost of dog exhibitions we have participated when has always been Excellent and most of the time getting a title, even several time the highest one - BOB. Demi loves agility and frisbee. In agility we took part in a race in beginners. Firstly we placed on the fifth place and second time we were winners in the agility part. The last race we will neverforget!!! Demi won all the runs, the second one even without any mistake and being the fastest. We also took part in dogfrisbee race twice. Our placing was for us minority, most important was to find out that we will do this sport just for fun and because Demi loves discs but rarely we will participate in race in future. Demi also loves swimming.